Honeymoon Nest is situated at a nearby the railway station. This hotel offers 24-hour front desk facility. 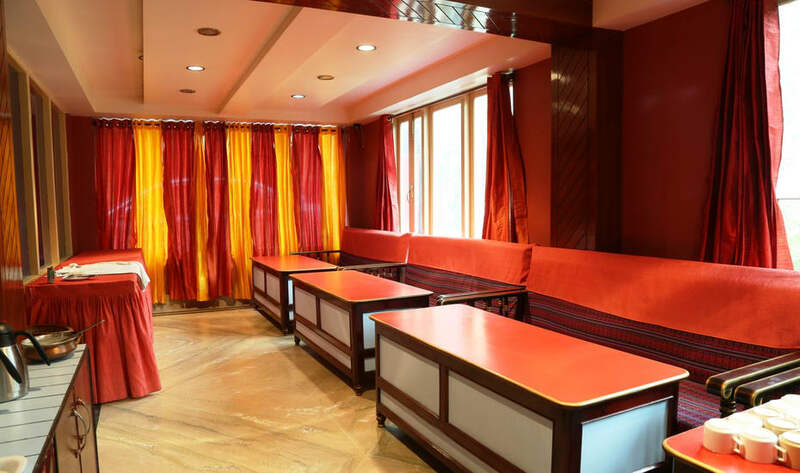 This hotel in Gangtok has 14 well furnished rooms spread over 3 floors. All rooms are equipped with amenities like wake-up calls, temperature control, wardrobe and an attached bathroom with hot and cold water facility. Laundry Facilities, Backup Generator, Security Guard, Currency Exchange, Breakfast Services, Doctor on Call, Parking, Room Service, Baggage Storage on Request, Travel Counter. Attached Bathroom, DVD Player, Wakeup Calls, H/C Water, Bottled Water in Room, Cable/Satellite TV, Iron/Ironing Board, Air Conditioning Room, House Keeping, Toothbrush/Razor on Request. User reviews for "Honeymoon Nest Hotel Gangtok"